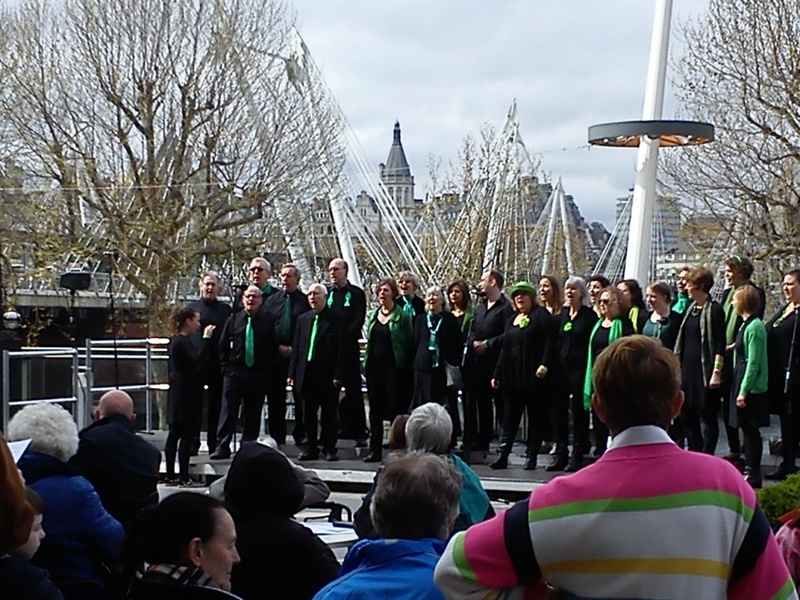 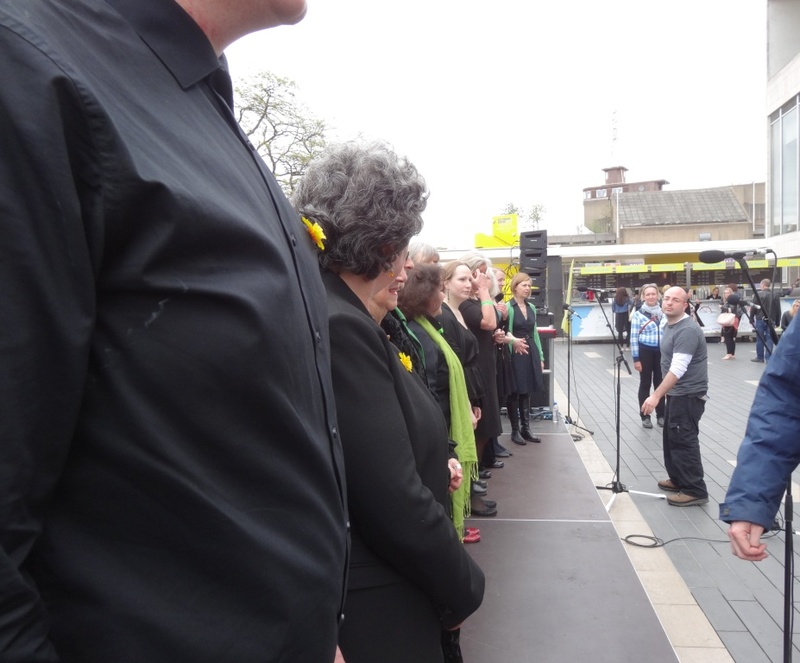 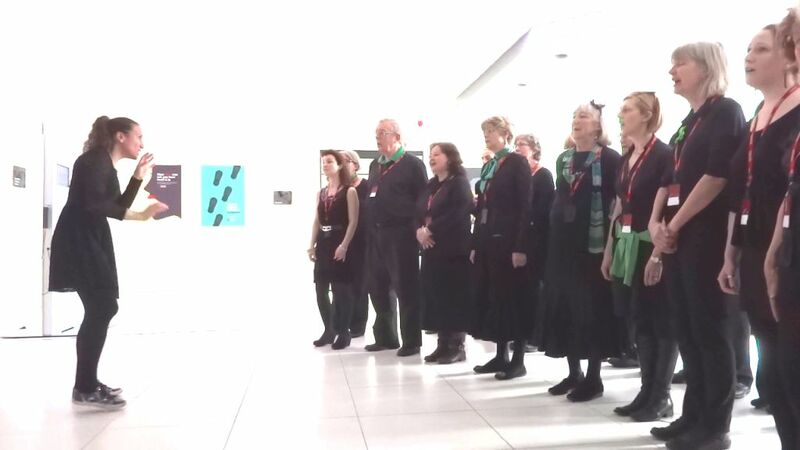 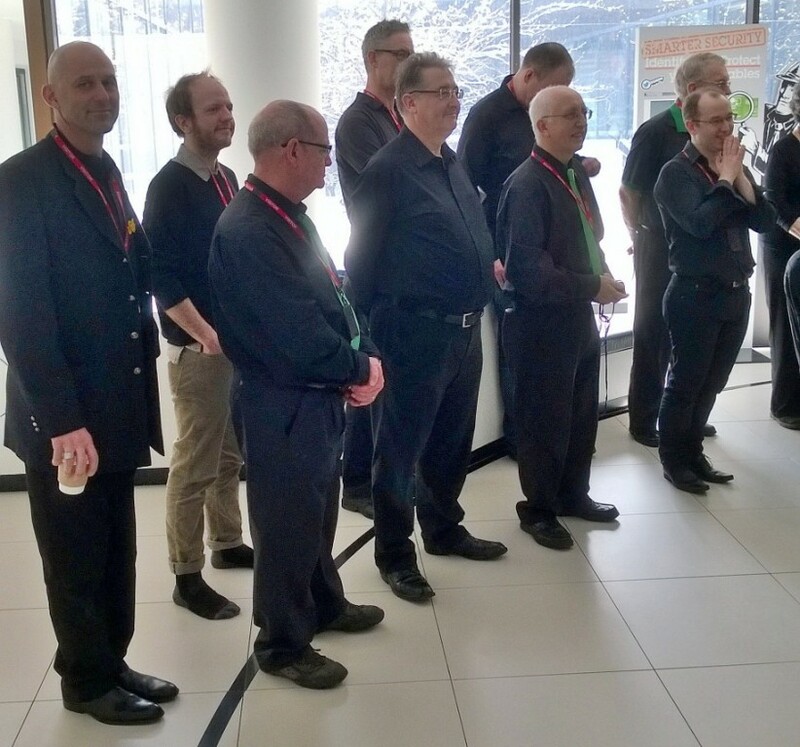 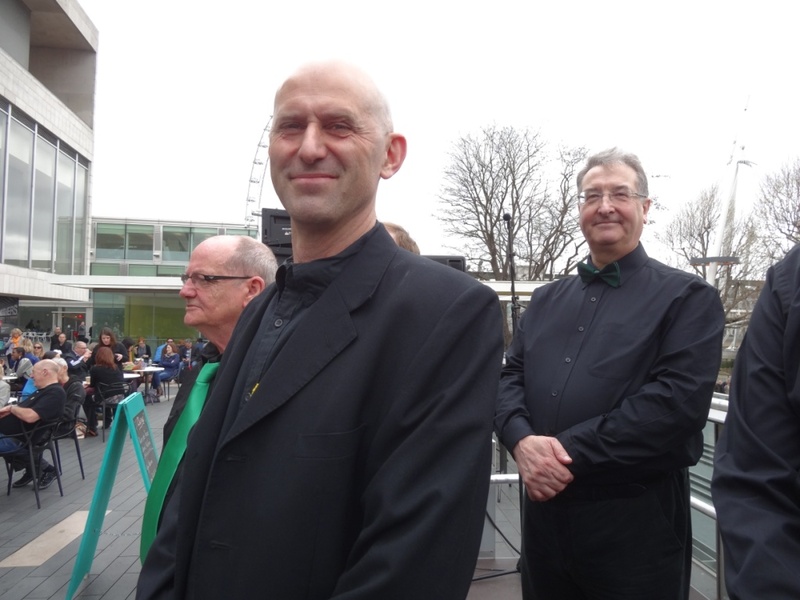 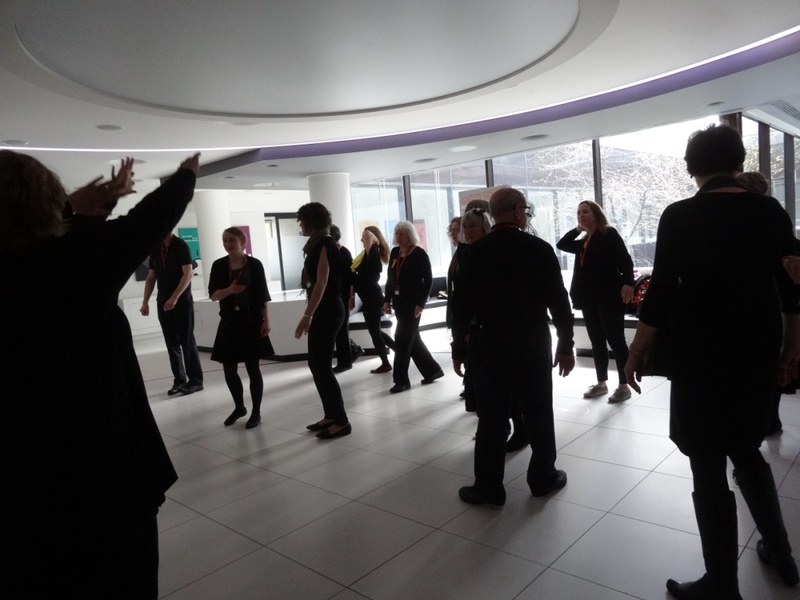 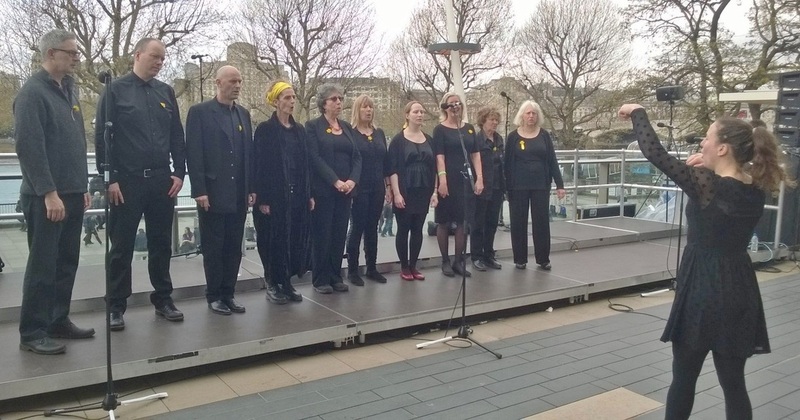 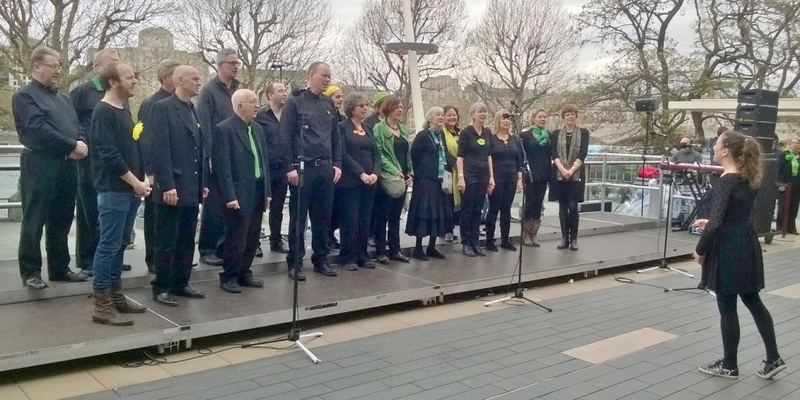 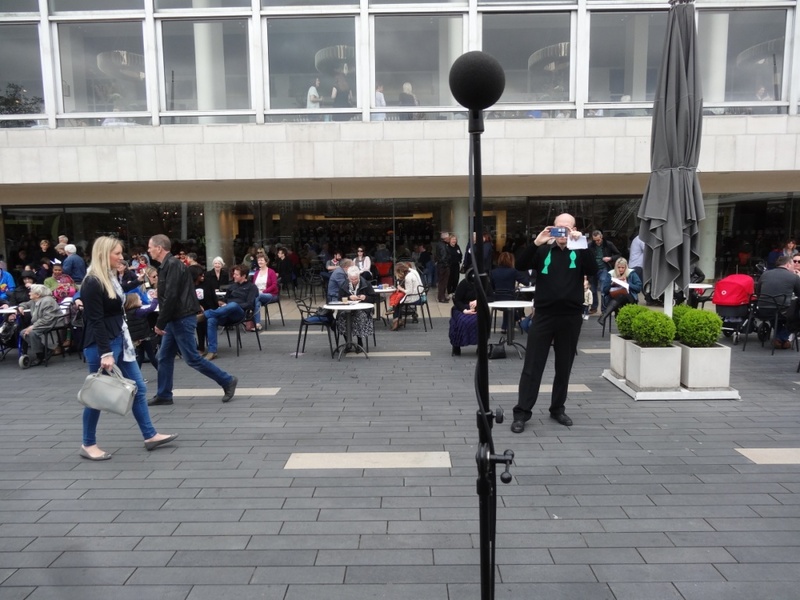 On 5th April 2014 we took part in the Chorus choirs festival at the Southbank in London. 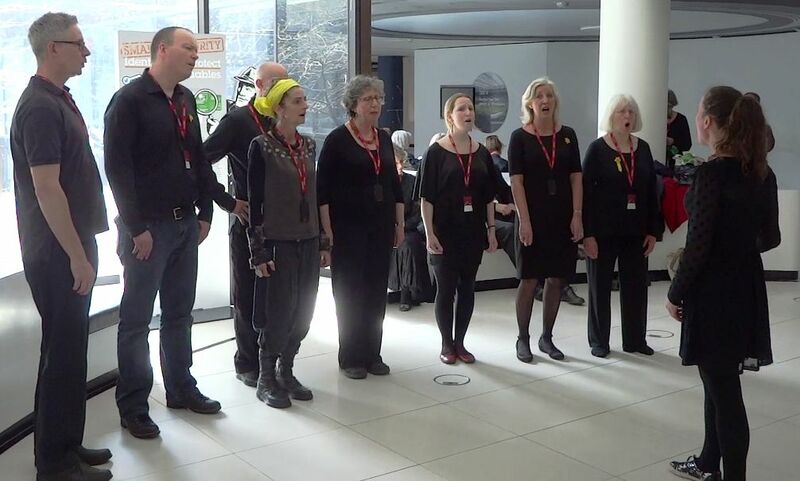 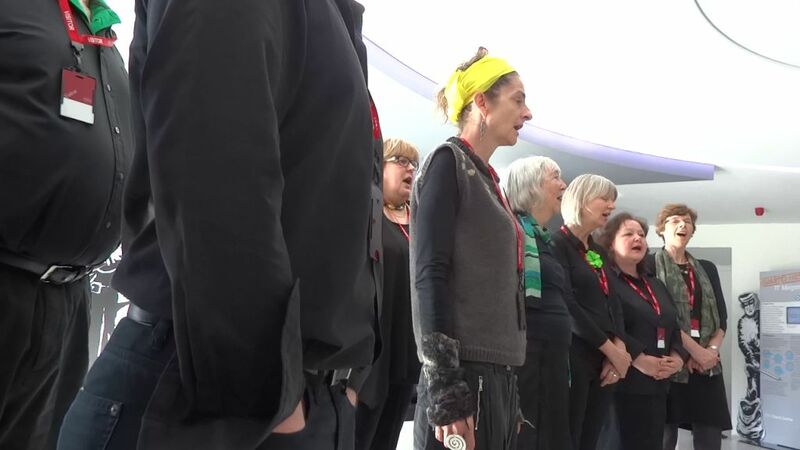 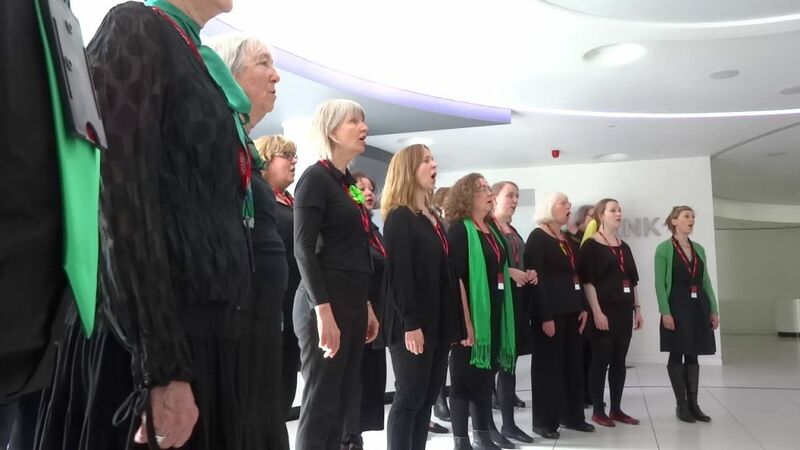 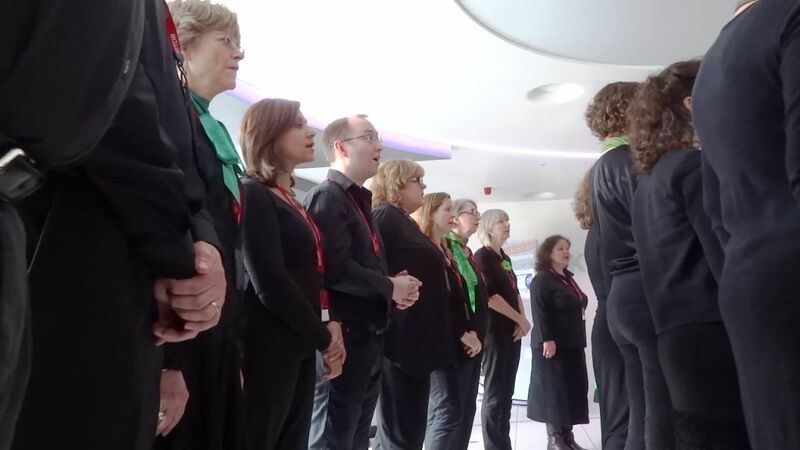 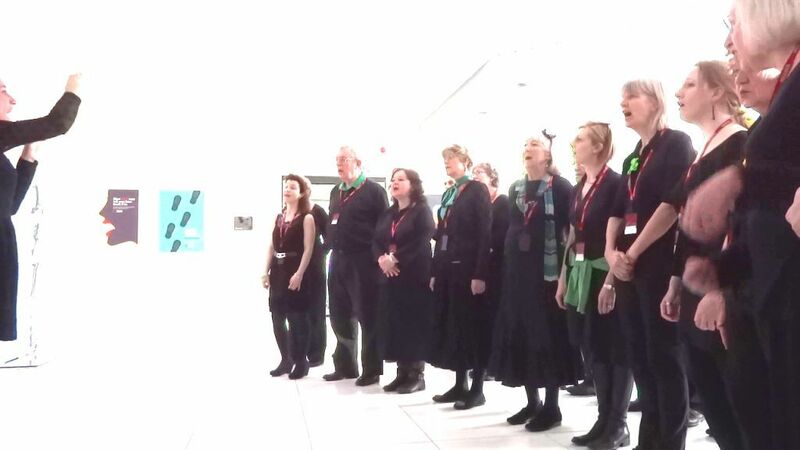 This was a joint performance with Singing in the City. 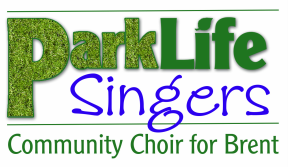 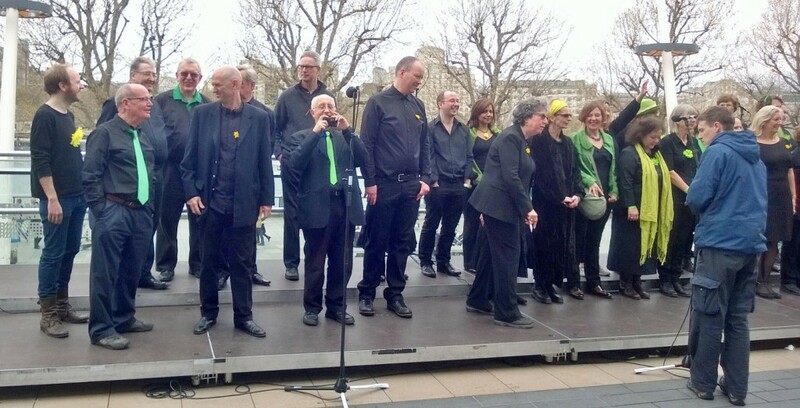 Singing in the City members are wearing yellow accessories, and ParkLife Singers have green accessories. 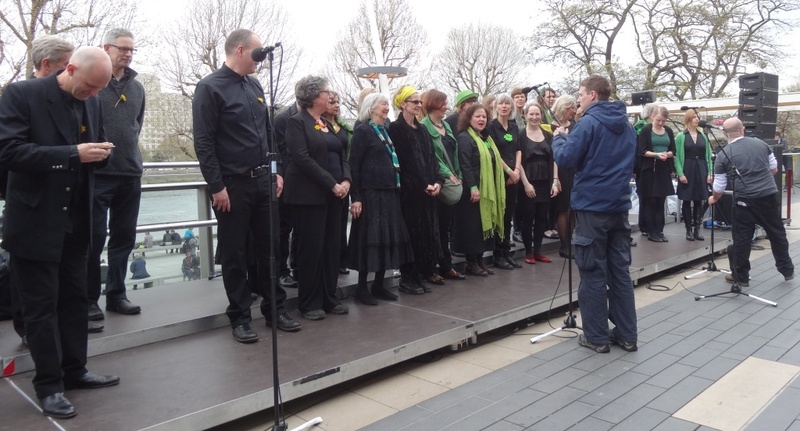 The indoor photos are of rehearsals, and the performance was outdoors.